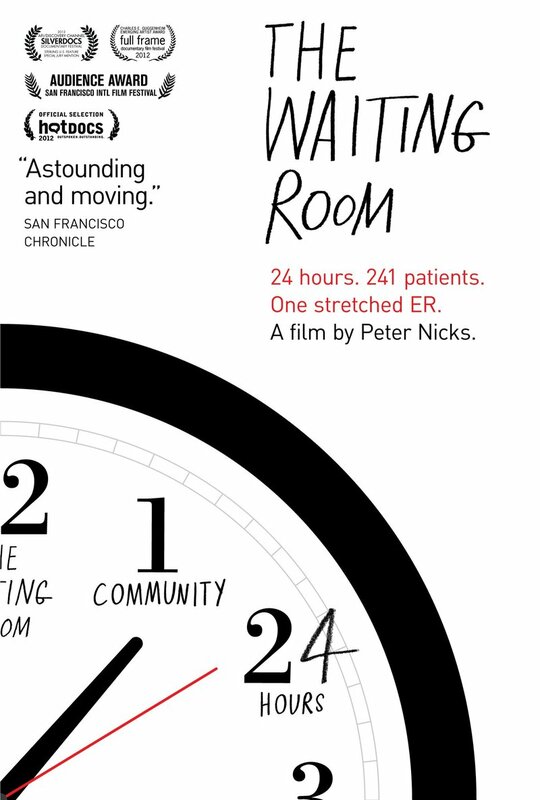 The Waiting Room DVD release date was set for October 22, 2013. Over the course of one composite day, 250 patients and their families and friends pass through the real-life waiting room of Highland Hospital in Oakland California. This overloaded hospital is on the front line of America's healthcare crisis, and the majority of the patients who pass through this waiting room are uninsured and desperate. In fact, many regard Highland as an option of last resort. These people face difficult decisions about care and money while trying to navigate the daunting bureaucracy of modern healthcare. Featured patients include a gunshot victim, a student with testicular cancer, a carpenter in chronic pain, a substance abuser facing homelessness, a frustrated man on dialysis and others. Hard-working staff members also offer insights about how they cope with the constant stream of patients desperate for care.